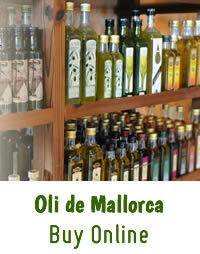 Suc de Cel, extra virgin Olive oil D.O.
" SUC de CEL " the "sky juice" comes from the Tramuntana mountains around Sóller. 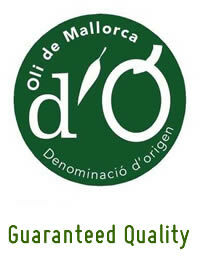 The cold-pressed olive oil from the virgen extra olive "mallorquina" is distinguished with the origin certificate Oli de Majorca D.O. in guaranteed quality. The monumental ancient olive-trees of the high mountains give to this special olive oil D.O. the typical noble taste. In the taste lightly nutty with a breath of almond and a pleasant spice. Particularly suitable for lettuce besand fresh food textures and aromas, with tomatoes on the bread or also to the roast and cooking to 180 º. 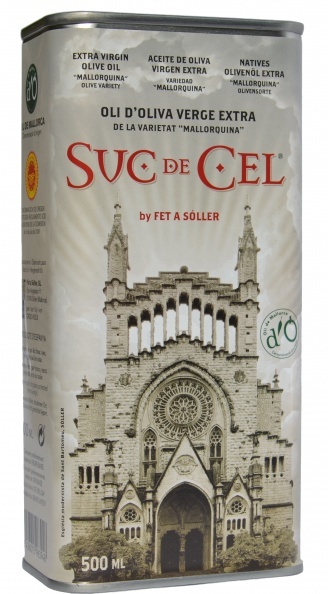 As a Hommage in Gaudi and his master builder's school, builder of the impressive cathedral of Sóller to honour of the local patron saint.